Barcelona are reportedly considering a shock transfer swoop for Manchester United winger Jesse Lingard this summer. The England international has just had a fine season for the Red Devils, showing arguably the form of his career to cement a place in Gareth Southgate’s World Cup squad this summer. According to Diario Gol, he’s one of a number of names on Barcelona’s list to strengthen in attack on their left flank, where Ousmane Dembele has mainly played in recent times. The young Frenchman, however, has struggled at the Nou Camp and it’s little surprise to see Barca looking for alternatives in that position. 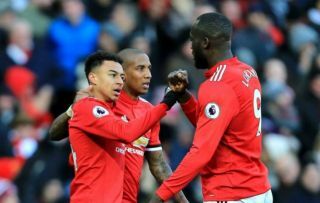 Lingard, however, does not immediately strike one as a Barcelona player, despite his obvious qualities and strong showing in the Premier League in recent times. Having come through United’s academy, one imagines the 25-year-old will be fully committed to United, though it’s hard to say no if Barcelona come calling. The Catalan giants are also looking at big names like Kylian Mbappe, Julian Draxler and Sadio Mane in that area, so it remains to be seen if Lingard is really a priority anyway. United fans will certainly hope they can keep this fan-favourite at Old Trafford but it may become challenging if he continues to improve at his recent rate.